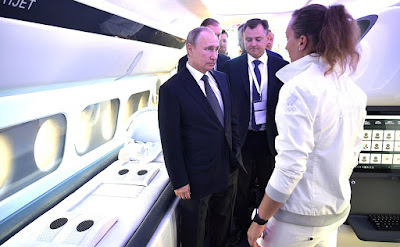 Putin visited International Aviation and Space Salon MAKS-2017. 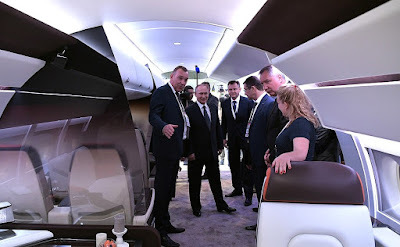 Putin.BLOG Industry Putin visited International Aviation and Space Salon MAKS-2017. 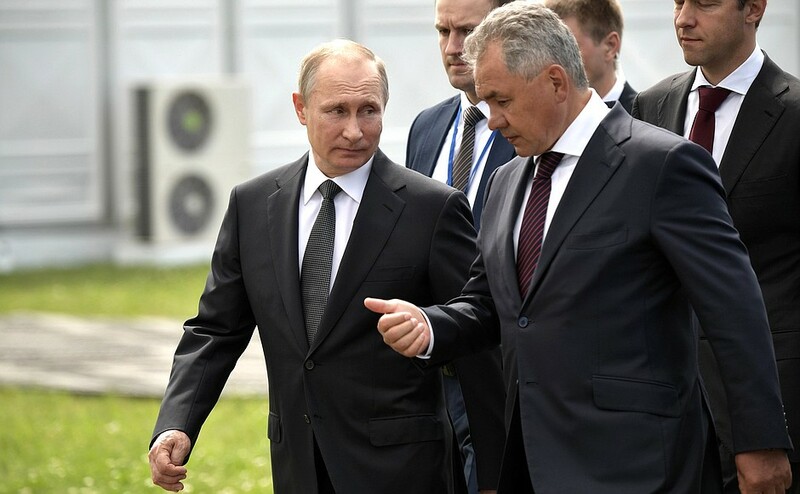 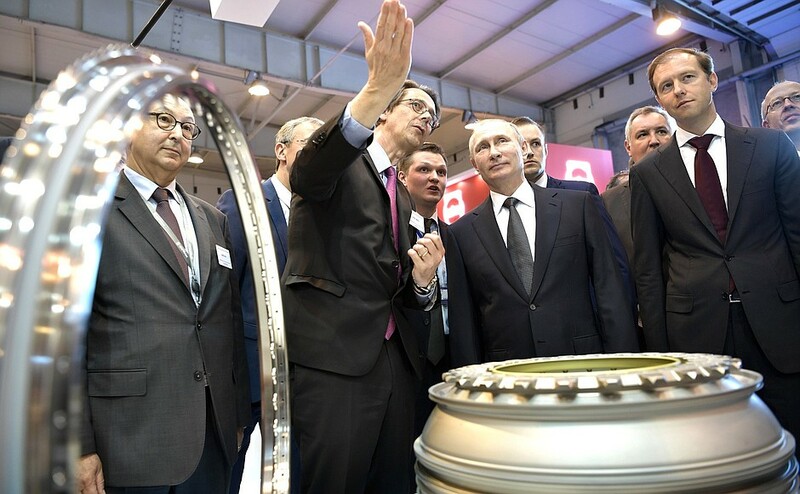 Vladimir Putin took part in the opening ceremony of the 13th International Aviation and Space Salon MAKS-2017 and toured aviation exhibition stands. 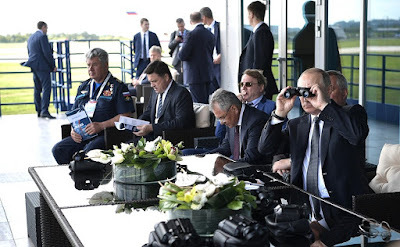 Russian President Vladimir Putin at the opening ceremony of the International Aviation and Space Salon MAKS-2017. 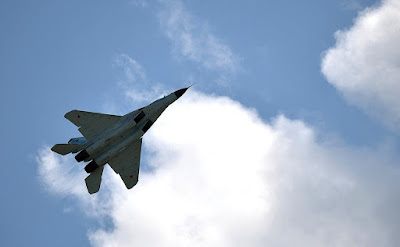 International Aviation and Space Salon MAKS is one of the largest aerospace trade fairs in the world. 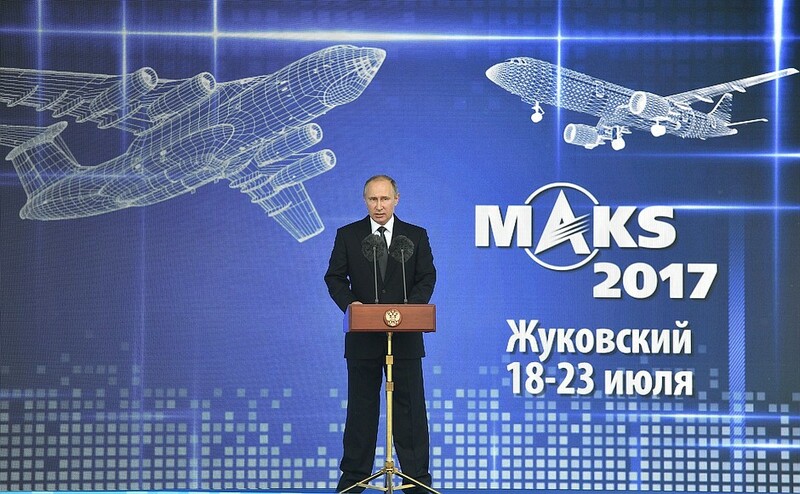 Some 700 Russian and 180 foreign corporations and companies from 36 countries are taking part in MAKS-2017. International Aviation and Space Salon MAKS-2017 is held in Zhukovsky, Moscow Region, on July 18–23. 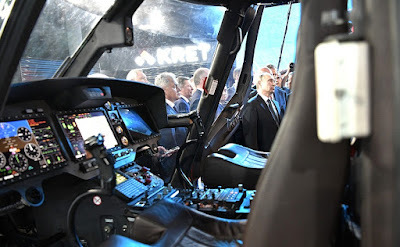 The President toured aviation exhibition stands displaying production models, prototypes and pre-prototypes and developments by Russian and foreign aerospace companies. 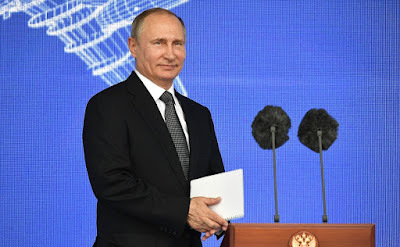 Vladimir Putin's speech at the MAKS-2017 opening ceremony. It is a pleasure to welcome all of you to the opening of the International Aviation and Space Salon. 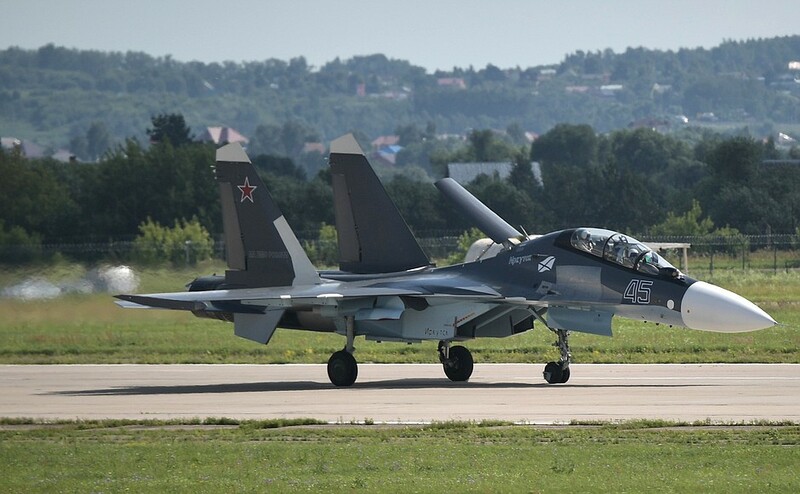 This is an anniversary year for MAKS. 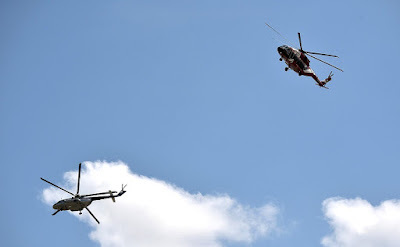 It was first held 25 years ago, back in 1992. Since then it has established itself as a high-profile event, but we all know that this recognition did not come right away. Building on the persistence and talent of its organizers and with comprehensive support from the state, MAKS has definitely reached new highs, becoming an anticipated event for all those interested in aerospace technology. Russians have always taken a keen interest in the development of aviation technology and space exploration. 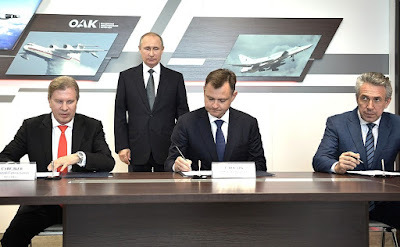 It has to be said that this is an important element of our shared culture, and the history of Russian cosmonautics and aviation is a matter of national pride, and rightly so. 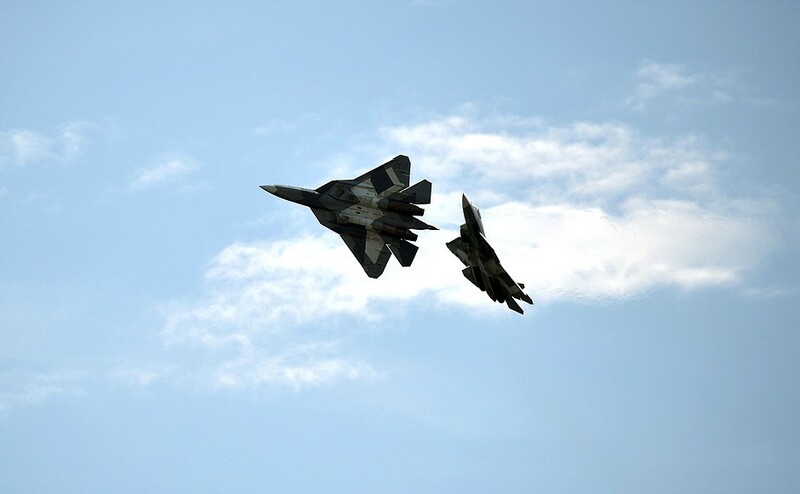 We are proud of the outstanding achievements by prominent engineers Sergei Korolev, Nikolai Polikarpov, Pavel Sukhoi, Andrei Tupolev and Sergei Ilyushin. 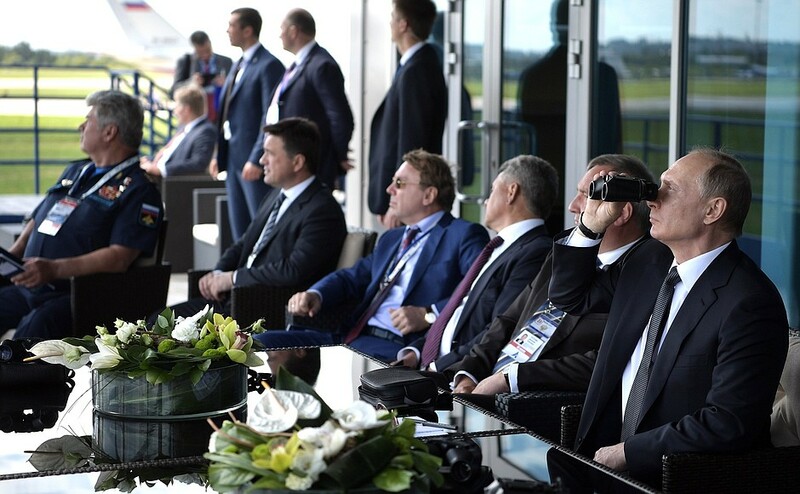 Our goal today is to build on the traditions they established. 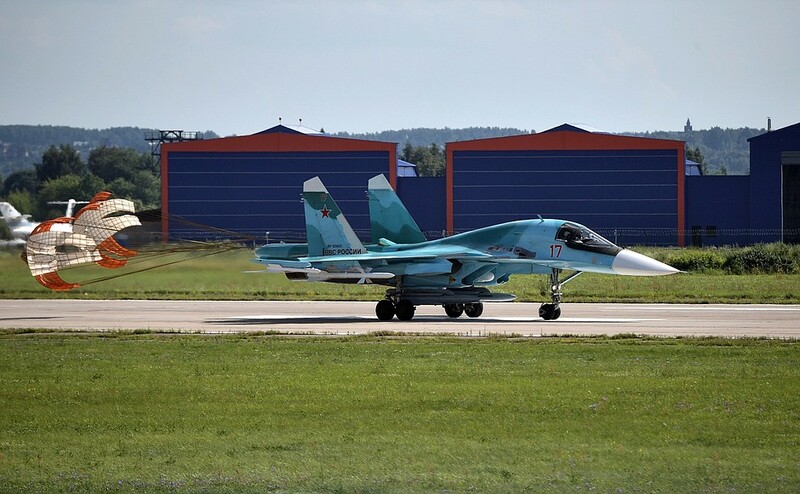 Over the next few days, Zhukovsky, Moscow Region, will be hosting a large exhibition where leading Russian and foreign companies will present their products, conferences and workshops will be held on matters that are currently relevant for the industry, and where a number of talks are scheduled to take place and major contracts to be signed. We hope that all this activity will help step up industrial cooperation, foster international ties and promote Russian products on the domestic and foreign markets. 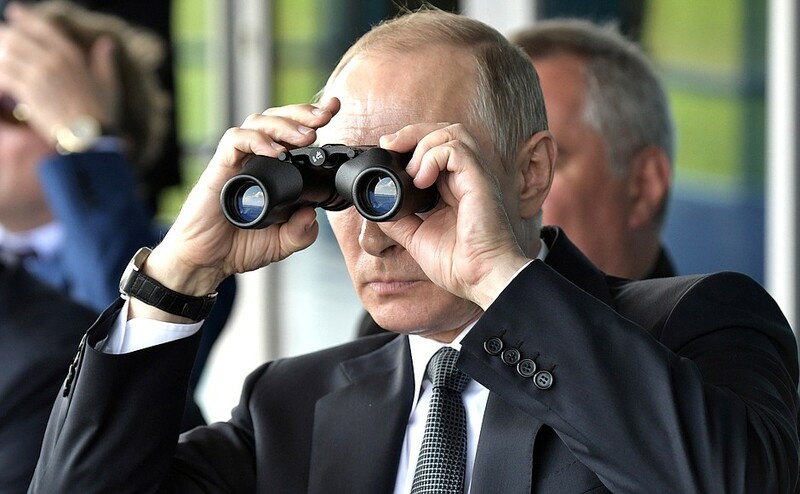 We have much to offer. 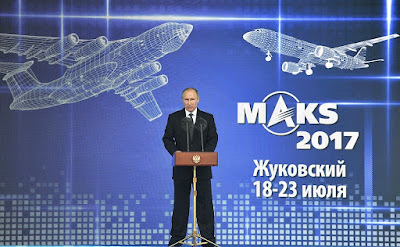 Opening ceremony of the International Aviation and Space Salon MAKS-2017. 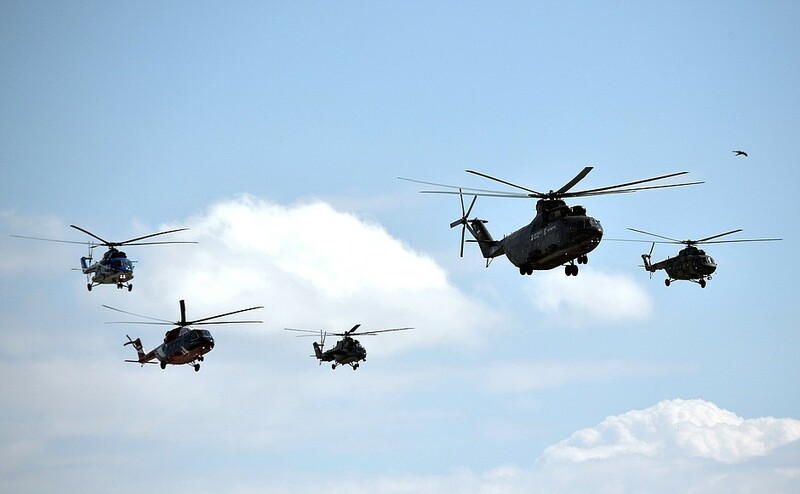 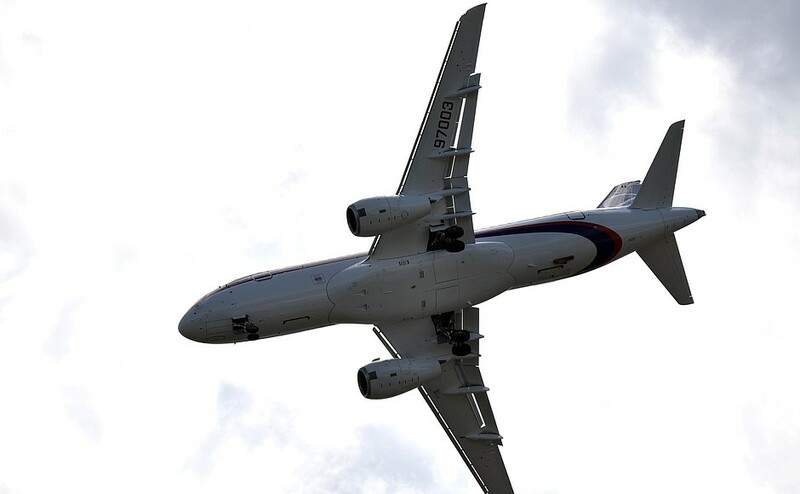 In recent years the aerospace industry benefited from substantial government support: its production assets underwent substantial upgrades, projects to create new, competitive civilian aircraft are underway, including the Ka-62 helicopter and the MC-21 aircraft. 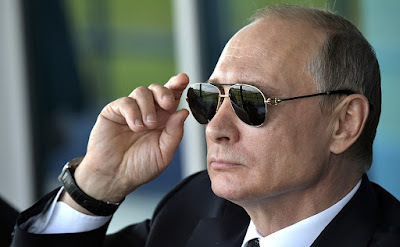 Let me also note that Russia retains its leadership in military aircraft, as well as missile and space manufacturing. 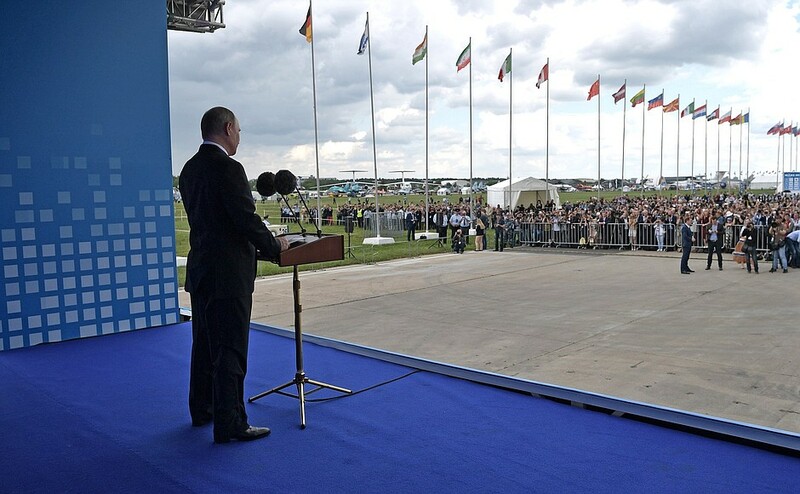 We will continue developing these sectors. 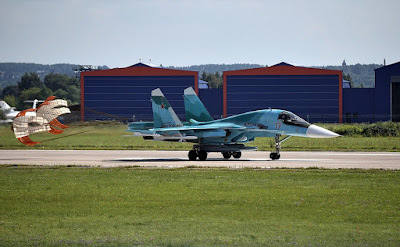 Of course, I have to say a few words about the flying displays, which is one of the most spectacular parts of the MAKS Salon. 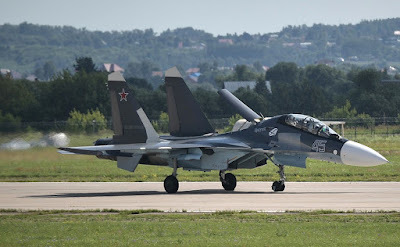 The show will feature the best Russian and foreign pilot groups, whose mastery is not just respected but admired. 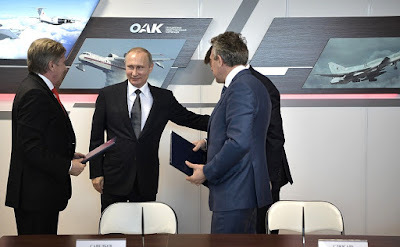 Congratulations to the International Aviation and Space Salon MAKS on its anniversary. I wish all the participants fruitful work, and good weather and a spectacular experience to its guests. Vladimir Putin with Defense Minister Sergei Shoigu at the International Aviation and Space Salon MAKS-2017. Vladimir Putin talks to test pilots of the new MS-21 airliner at the International Aviation and Space Salon MAKS-2017. 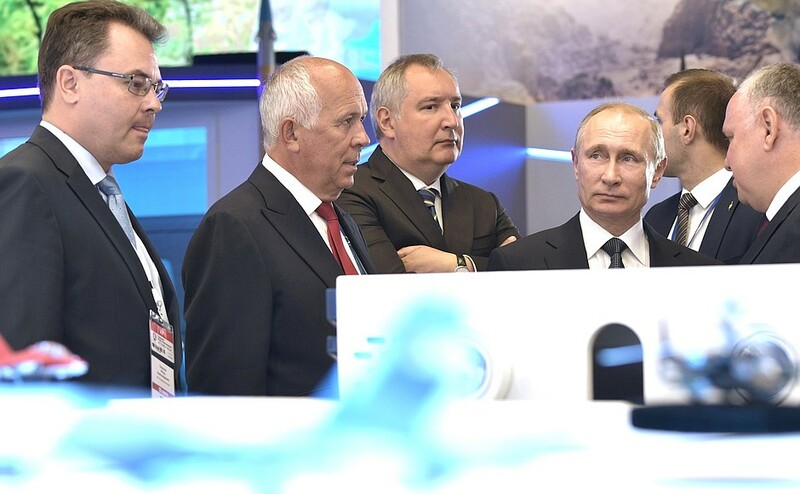 President Putin visited International Aviation and Space Salon MAKS-2017. Vladimir Putin looks over a model of the Sukhoi SportJet interior at the International Aviation and Space Salon MAKS-2017. 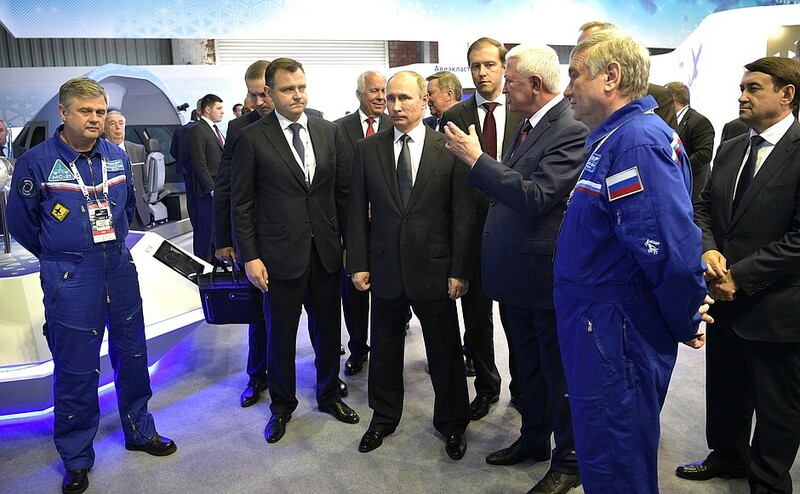 The President visited International Aviation and Space Salon MAKS-2017. Aeroflot, United Aircraft Corporation and Vnesheconombank sign a contract on delivering 20 Sukhoi Superjet100 aircraft to Aeroflot, in the presence of Vladimir Putin, at the International Aviation and Space Salon MAKS-2017. 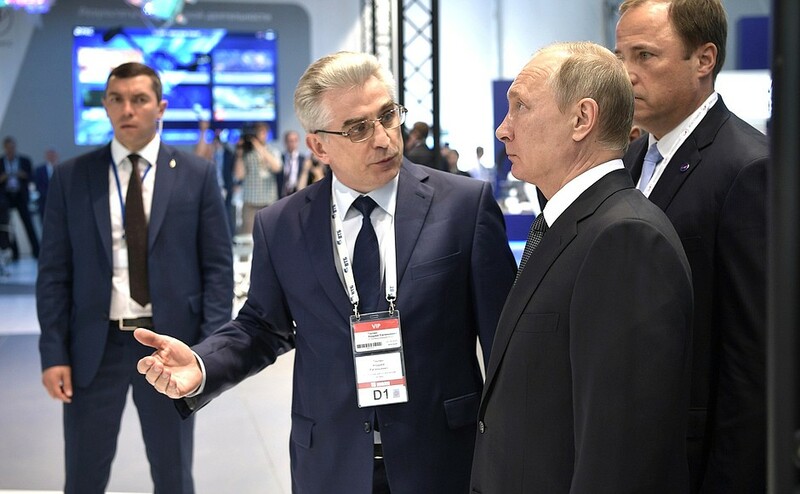 Vladimir Putin with Andrei Tyulin, Director General of Russian Space Systems, at the International Aviation and Space Salon MAKS-2017. 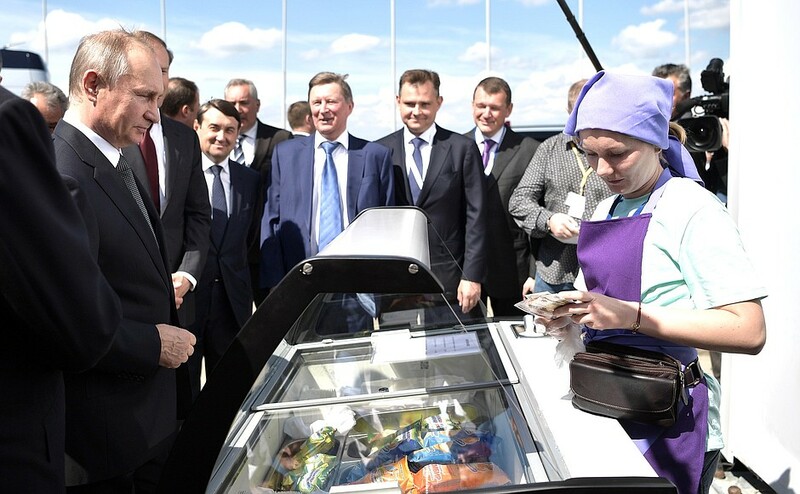 Vladimir Putin buying an ice-cream at the International Aviation and Space Salon MAKS-2017. 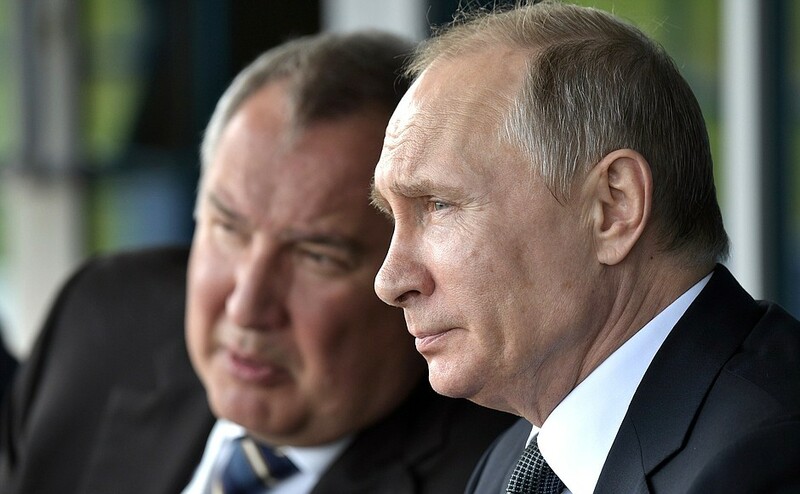 Vladimir Putin with Deputy Prime Minister Dmitry Rogozin at the International Aviation and Space Salon MAKS-2017. Russian President visited International Aviation and Space Salon MAKS-2017. 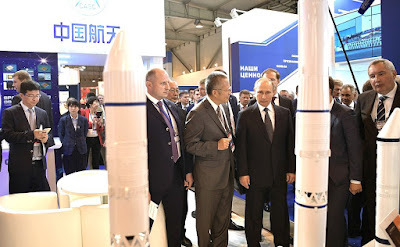 Vladimir Putin at the International Aviation and Space Salon MAKS-2017. Air show during the International Aviation and Space Salon MAKS-2017. 0 Comment to "Putin visited International Aviation and Space Salon MAKS-2017."